for $159,900 with 3 bedrooms and 2 full baths. 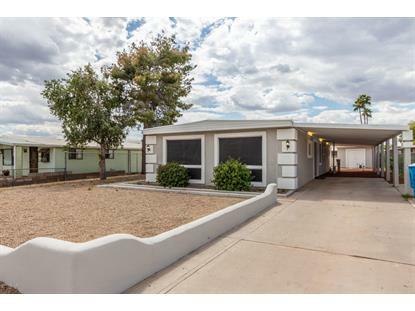 This 1,440 square foot home was built in 1971 on a lot size of 6940.00 Sqft. This newly renovated home in Turf Mobile Estates offers over 1400 square feet of newly painted calming neutral colors with plenty of natural light due to large front windows with screens offering privacy but allowing the you great visibility and natural light. The home has 3 spacious bedrooms, 2 bathrooms, rich laminate wood floors, new carpet, and a wet bar in the family room. The eat-in kitchen is complete with new jet black appliances, custom backsplash, and granite counters. Both bathrooms have exquisitely updated vanities and tiled showers. Step out to your private yard with plenty of room for making it your own oasis. The home also has a brand new roof. 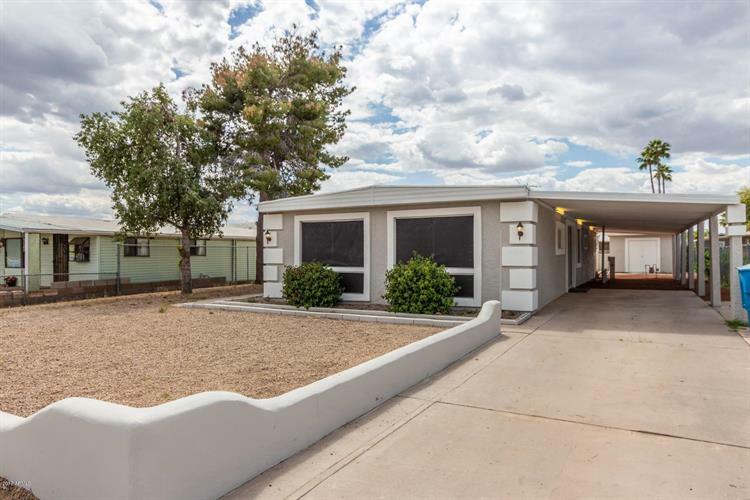 The home is close to shopping and Turf Paradise. Make this beautiful home yours today!